Prototype Pattern is a sub-category of creational pattern that provides a better pattern for creating an object. In prototype pattern, the object can be cloned, thus making it one of the effective means to create an object. Prototype pattern is primarily used when the object creation is costly and expensive. In prototype pattern, the use of “New” keyword can interfere with the expected result. Objects are created by copying the prototype. 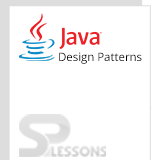 Prototype pattern can be used along with the factory pattern and abstract factory pattern. This is an unique pattern in creational pattern. Object can be cloned easily. Object can be customized as per the requirement. Objects can be added and removed at run time. Objects can be created easily. In most cases, sub-classing is not required. Client: Client is used to create a new object and sends a request to a prototype to clone by itself. Prototype: Prototype is used to declare an interface and make it to clone by itself. 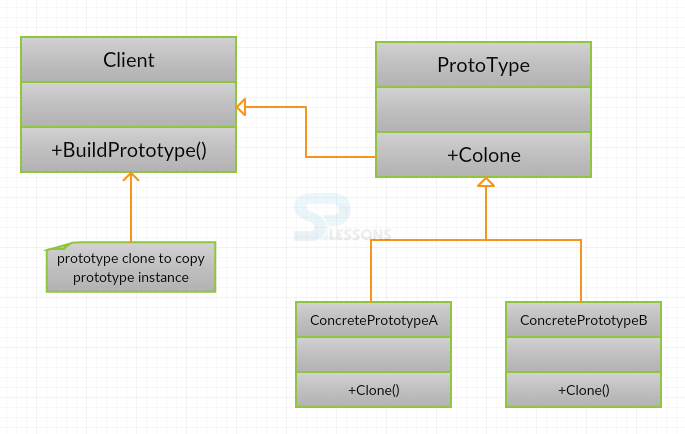 ConcretePrototype – Implements the operation for cloning itself. The process of cloning starts with an initialized and instantiated class. The Client asks for a new object of that type and sends a request to the Prototype class. Based on the type of object that is needed, the ConcretePrototype will handle the cloning through the Clone() method, thus making a new instance for itself. When an Object heaps information from the database, making changes to this information in the project by using the “New” watchword and loading all the information again from the database is not a good practice. So, the better approach is to clone the current item into another article and then perform the information control. Model outline design mainly deals with the Object that is being replicated and indicates the duplicating highlight. However, whether to utilize the shallow or profound duplicate of the object properties depends on the requirement and configuration choice. The complexity of resources and time becomes expensive if the object cloning is not used.